Accion East is a nonprofit micro lender that connects small business owners with the financing and advice it takes to create or grow healthy enterprises. Accion microloans range from $500 to $50,000, with an average loan size of $7,000. Serving immigrants from around the world, the AACA is a multi-services multi-generational association that provides, education, occupational training, and social services enabling clients to realize lasting economic self-sufficiency. ACDC has been working with the Asian community of Greater Boston to address those needs and challenges. The organization continues to develop affordable housing, promote economic development, foster new leadership, and build capacity within the community through education, advocacy, and action. Bay Colony Development Corporation is a Certified Development Company (CDC) whose purpose is to stimulate development through creation and preservation of jobs by providing healthy companies with fixed asset financing at affordable rates and reasonable terms. BDC Capital provides financial assistance with loans, mezzanine and equity investments, guarantees and financial services to businesses of every type and description. CDC New England (formerly known as MassCertified), an affiliate of BDC Capital, offers the popular SBA 504 program to businesses for owner-occupied property. Boston Bar Association’s mission is to advance the highest standards of excellence for the legal profession, to facilitate access to justice and to serve the community at large. The Boston Bar Association offers a law referral service. The BCLAB is a legal service office and training site for Boston College Law students. Cases are handled by law students who are supervised by staff attorneys. Services are free for low income residents of Waltham, Watertown and Newton. ENET provides early stage technology-based entrepreneurs with information and resources necessary to transform an idea into a successful product or service business. The Boston Fashion’s mission is to cultivate a strong Boston fashion community through collaboration, outreach, and entrepreneurship via networking, lively discussion, events, informative panels, workshops, fashion photo shoots, and more. The CEERE provides technological and economic solutions to environmental problems resulting from energy production, industrial, manufacturing, and commercial activities, and land use practices. CWE offers education, training, technical assistance, women’s business enterprise certification and access to both debt and equity capital too entrepreneurs at every stage of business development. The Commonwealth Institute is a mentoring organization for women entrepreneurs who help women in the critical stages of their business and provide them with the tools and resources they need to grow successful companies. Crop-Circle Kitchen seeks to help small-scale food entrepreneurs succeed by providing low-cost, shared-use kitchen facilities in order to create business opportunities, employment, and multicultural economic activity throughout Boston’s neighborhoods. DBEDCs loan program, promotes the expansion of small businesses, utilizing partnerships between community development corporations, banks and the U.S. Small Business Administration. To promote U.S. job creation by assisting qualified foreign individuals who wish to invest in Massachusetts through the Immigrant Investor Pilot Program, otherwise known as EB-5. Through the EPJ, the Lawyers’ Committee for Civil Rights provides business training and advice to individuals who are considering starting a business and to existing businesses, in confronting a variety of concerns, by offering legal workshops and legal clinics. The EEA believes it is critical to develop new innovative environmental technologies that will provide cost effective, technology-based solutions to environmental problems in the Commonwealth. The GNEMSDC is a non-profit organization dedicated to creating profitable business relationships between Massachusetts-based Minority Business Enterprises (MBEs) and large Institutional Purchasers. ICIC promotes economic prosperity in America’s inner cities through private section engagement that leads to job, income and wealth creation for local residents. INENAS’ mission is to develop collaborative relationships, projects, and programs between Native American tribes of the New England region and all of the UMass campuses so that the tribes may participate in and benefit from university research, innovation, scholarship, and education. The mission of the Insurance Information Institute (I.I.I.) is to improve public understanding of insurance—what it does and how it works. Intuit is the creator of QuickBooks, Quicken and Turbo Tax. The website has free uploads of their products, demos, a listing of local QuickBooks trainers, and much more. Ladies Who Launch is a media company that provides resources, tools and connection s for women and entrepreneurs. The meetings objective are to connect with others for advice, referrals and customers and to promote and exchange produces and services. The Lawyers Clearinghouse provides pro bono legal services to non-profit organizations and groups seeking non-profit status. The Legal Service Food Hub is a free legal services clearinghouse for farmers, food entrepreneurs and related organizations. MHIC is a leading private investor and lender specializing in financing affordable housing and community development throughout New England. The MABI is the association gathering business incubators. The MBA is a non-profit organization that serves the legal profession and the public by promoting the administration of justice, legal education, professional excellence, and respect for the law. The MBA also has a Lawyer Referral Service, which is the largest referral service of its kind in the nation. The MDEPSPC provides information and assistance on laws, rules, permits, reporting, compliance, financial assistance and training and professional development. The Massachusetts Export Center offers a range of targeted, customized services to meet the complex needs of exporters throughout the state. The MLSC is taxed with investing in life science research and economic development. MassMEDIC advocates industry positions at the federal and state government levels, and conducts numerous informational seminars; conferences and issue briefings aimed at bringing the region’s medical device community the latest and best information policies and trends impacting the sector. The MRA is a not-for-profit trade association committed to the advancement of the food and beverage industry in our state. Membership organization of MSCPA CPA’s offer a wide range of assistance, including business financial, personal financial, auditing/accounting and tax advisory services. The SDO promotes the development of business enterprises and non-profit organizations owned or operated by minorities and women. The MTC is an independent public agency dedicated to the formation, retention, and expansion of technology-related enterprises in Massachusetts. The MTTC has a government mandate to help any investor in any non-profit research institution to commercialize his or her technology. MassDevelopment provides real estate development services, including concentrated financing and technical support, predevelopment funds, loans, and guarantee programs. The NEFE website is designed to help you start, maintain, or expand a food business. The Procurement and Technical Assistance Center can guide you through the process of bidding on government contracts and provide you with information and referrals on how to become more competitive. The SLBE creates economic opportunities to City development and advocating on behalf of these businesses to help them compete successfully in the Boston area’s economy. The SBA provides a multitude of financing programs for acquisition of equipment, real property, inventory expansion and/or renovations, and loan guarantee programs and technical assistance through SCORE. 7(a). As a regional nonprofit economic development corporation, SEED Corporation focuses on job creation by financing small businesses in Massachusetts and Rhode Island. 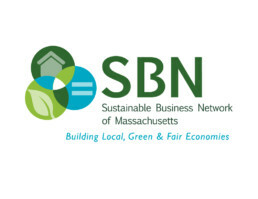 The SBLP mission, through their own six-step program, is to meet the unique needs and challenges of local businesses in their pursuit to become more environmentally sustainable. The Capital Network is a non-profit organization providing educational programs and a community to help early-stage entrepreneurs master the entire funding process and successfully raise seed capital for financing their high-growth startup. TiE Boston runs several vibrant programs to educate, mentor, network and inspire entrepreneurs in the community. The TLC offers free and low cost legal services to clients throughout the metropolitan Boston area. Legal services are made available to client who would not likely afford assistance. A free statewide business assistance program providing entrepreneurs and business owners with free business advisory services, educational programs, and financing assistance. The mission of the Urban League of Massachusetts is to deliver services and programs that aim to increase the economic self-reliance of African Americans and other people of color. Viet-AID implements a sustainable state-wide small business program that promotes entrepreneurial growth in the Vietnamese community while strengthening existing businesses. The Western Mass Food Processing Center promotes economic development through entrepreneurship, provides opportunities for sustaining local agriculture, and promotes best practice for food producers. Through the Whole Foods Local Producer Loan Program, Whole Foods market lends money to small, local, independent producers to help them expand their business. The Women’s Bureau promotes 21st Century solutions to improve the status of working women and their families. Better jobs; Better earnings and Better living!